Aren’t you simply bowled over with the wedding pictures of the Bollywood celebrities, I bet you too want to have a wedding just as dreamy as theirs. A venue illuminated and decorated like a bride, the flowery lawns giving serious royal feel, you can get all of it here at this amazing wedding venue in Malad. A perfect blend of ultimate elegance and sophistication, this wedding venue tops our list of the most beautiful wedding venues in Western Suburbs of Mumbai. 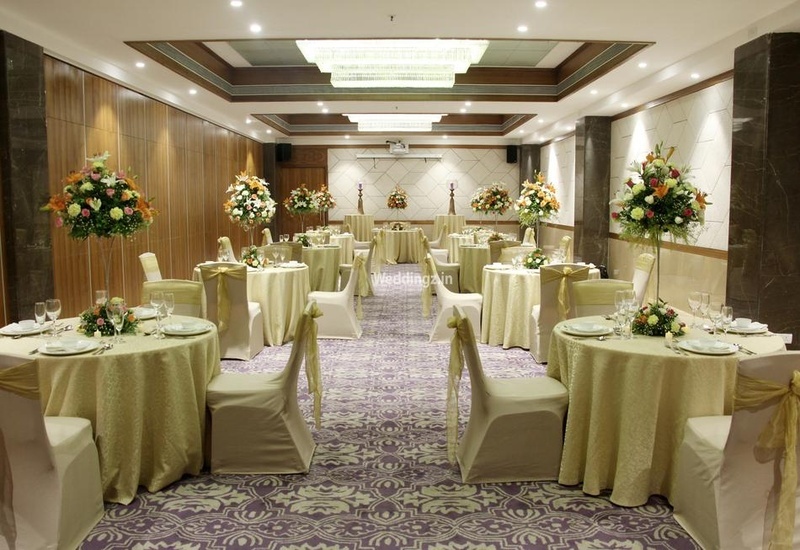 Vivette Banquet, Malad West, Mumbai offers spacious banquet halls and a terrace area for pre-wedding ceremonies, weddings, receptions and other social events. At Vivette Banquet Malad their team of caterers whips up an array of delicious dishes for your special day and treat your guests to a delectable feast. If you have a theme in mind, you can get their team of decorators to execute it for the big day. With a management that looks after your guests and makes sure that they have an enjoyable time, it is one of the best banquet halls in Malad and has witnessed many successful events over the past years. It is located at a close distance from Chincholi Bunder Road and Link Road which makes it easily accessible for all. The venue offers complimentary changing rooms for the bride and the groom on their special day. Availability of multiple party areas allows you to have different functions at the same venue. Vivette Banquet, Malad West, Mumbai serves alcohol and also allows you to get it from outside to please your guests.